You notice that there is no field on Release related screens (Details, Overview) on Supply Network Collaboration portal that shows the Price of a Scheduling Agreement Item. This is because this Agreement is based on the ERP system, and the use case in SNC is not to define the price but to let Suppliers to create Deliveries/Shipments based on the Schedule lines. But for some reasons you may want to check if the price related Master Data is CIFed correctly to SNC. 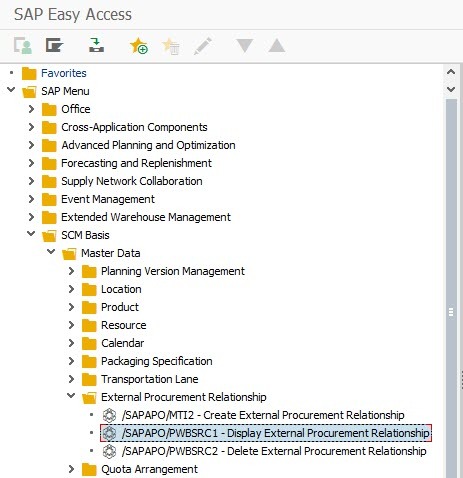 To do so, you can display the External Procurement Relationship under SAP Menu -> SCM Basis -> External Procurement Relationship -> Display External Procurement Relationship or directly with transaction /SAPAPO/PWBSRC1. For more information on how scheduling agreements are transferred from the ERP system to the SCM system, visit the relevant SAP Help documentation. For an overview of the Release Processing, you can visit the SCN Wiki Page Scheduling Agreement Release.